Saving For Your Future » Investing » Hargreaves Lansdown Review – is it the best place for your ISA & SIPP? 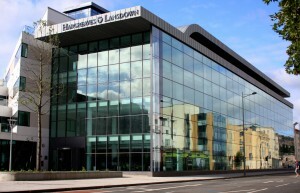 Hargreaves Lansdown is the largest UK fund platform managing around £86bn for over 1 million clients. It offers a range of investment tools, guides and research as well as ready-made investment portfolios and a new cash management service. But is the Hargreaves Lansdown investment platform actually any good? Would I recommend its Vantage Stocks and Shares ISA? Is the Hargreaves Lansdown Vantage SIPP the best in the market? You can use the links below to jump to key points in this Hargreaves review, however, I suggest that you read it all the way through. In addition, at the end of the article I also point out some of the negatives of the Hargreaves Lansdown ISA and SIPP. What can you invest in using Hargreaves Lansdown? Hargreaves Lansdown – Should you use them? What services and products are offered by Hargreaves Lansdown? The Hargreaves Lansdown Vantage Stocks & Shares ISA offers an easy to manage, tax-efficient way of accessing a range of investment assets and handy investment tools. The Vantage Stocks & Shares ISA allows you to choose from a range of ready made portfolios or make your own investment choices to maximise your investment returns. The Junior Stock & Shares ISA allows you to save for a child's future in a tax efficient environment ring-fenced until the child reaches the age of 18. In our roundup of the best Stocks and Shares Junior ISAs the Hargreaves Lansdown Junior ISA was deemed the best for tools and functionality. The Hargreaves Lansdown Lifetime ISA allows those saving for a deposit on their first property to take advantage of an annual 25% bonus on contributions from the Government. If you want to know more about how the Lifetime ISA works then Hargreaves has produced a free easy to understand Lifetime ISA factsheet. Hargreaves Lansdown is one of the few providers to offer a Lifetime Stocks and Shares ISA. Investment trusts are funds that are publicly listed as companies on the London Stock Exchange and are traded like shares. Probably more suitable to an experienced investor investment trusts can provide access to alternative asset classes within a balanced portfolio. These can be bought within the Hargreaves ISAs as well as the Vantage SIPP, a benefit that is not offered by many other investment platforms. With its wealth of investment tools, news & live share prices Hargreaves Lansdown share trading service is a low cost simple way of trading in the stock market. The Share dealing service can be accessed via the Hargreaves Lansdown ISA and SIPP which sets it apart from many other investment platforms. Or you can access the share dealing service via the Hargreaves Lansdown Fund & Share Account which provides a low-cost flexible investment account to deal, manage and hold a wide range of investments. Hargreaves Lansdown Wealth 50 fund shortlist provides a starting point for most investors if they want to chose their own funds. Hargreaves does run a number of managed funds but for those wanting a more bespoke service Hargreaves Lansdown offers its Professional Portfolio Management service where a financial adviser will build and manage a portfolio in order to achieve your goals. Hargreaves Lansdown offers a comprehensive service if you are either looking to start planning for retirement or close to retirement and want to control your investments and understand your options. The Hargreaves Lansdown Vantage SIPP is an award-winning self invested personal pension that allows investment in a full range of assets including funds, ETFs and stock & shares giving clients full control over their retirement planning. Despite the new era of pension freedom annuities can still play a significant role in retirement planning. Hargreaves Lansdown is one of the few places where you can still compare annuities (including impaired life and enhanced annuities) and get a free annuity quote, which is worth doing even if you don't end up using Hargreaves Lansdown to buy the annuity. Pension Drawdown is a key part of retirement planning allowing investors to control their income taken from their pension allowing for greater control over investment returns and taxation. Hargreaves Lansdown Active Savings was launched in the summer of 2018. It is a cash service which helps consumers get a better rate on their savings. Hargreaves Lansdown is the only investment platform to offer such a service. Usually, consumers have to shop around themselves to find the best savings rates and then move their money from savings account to savings account in order to maximise the amount of interest they earn. It is a laborious process often requiring lots of paperwork and application processes. Active Savings stops this by giving customers access to a wide range of best buy fixed term savings products via one application. Once you sign up you can choose the savings product with the best savings rate at a click of a button and the account is automatically opened and your money deposited. When the fixed term comes to an end (i.e after 1 year) you can then move your money to a new fixed term savings account at a click of a button and with no form filling. In time Hargreaves Lansdown plans to provide access to cash ISAs and instant access savings products through the Active Savings service. Investment choice is one of the key advantages Hargreaves Lansdown has over nearly all other investment platforms out there. Hargreaves Lansdown doesn’t restrict your investment choice and offers access to over 2,500 funds as well as a cash management service (called Active Savings). While most DIY investors will usually only invest in funds (unit trusts), in my experience, most will eventually want to invest in ETFs and Investment trusts as well. These are usually cheaper yet not widely available on most other fund platforms. In addition, Hargreaves Lansdown is a stockbroker too which means that it offers the ability to buy and hold individual shares on its platform. To see the full range of investments within each category, and to ensure you can access the investments you want to, click on the links below. My advice to anyone looking to choose the best investment platform is to ensure they have access to sufficient investment choices. It doesn’t explicitly cost you any more to have access to such a wide range. Think of it like food shopping in a large supermarket versus a small corner shop. The former can offer products to all its customers thanks to the benefit of economies of scale, regardless of how much each individual customer buys. The same goes for fund platforms and Hargreaves Lansdown is the UK’s leading fund platform provider. As well as a wide investment choice Hargreaves Lansdown also gives its platform users access to a range of investment tools. These include the ability to set stop-loss and limit orders, receive real time share alerts and manipulate interactive charts. Again most other investment platforms do not offer these. How does the Hargreaves Lansdown platform work? It is simple to set up a Hargreaves Lansdown account (an ISA, SIPP or trading account) and this will provide access to all their investment options, excellent research and a range of tools and calculators. Alongside the various types of investment account mentioned above, you can open an Active Savings account which will let you maximise the amount of interest you receive on your savings. However, the Active Savings account cannot be used within an ISA, SIPP or a general investment account. The Hargreaves Lansdown website is clear and easy to use with access to a variety of excellent investment guides. The website was revamped in February 2018 to give the service a much fresher and cleaner design which renders well on both mobile and desktop devices. Once you log in to the site the system will feel familiar to existing customers as the redesign stopped short of introducing wholesale changes to trading and portfolio management sections which always had a minimalist design anyway. The fact that the new website relaunch appears to have been executed with few issues is a testament to Hargreaves’ general approach to its digital services. Fidelity, on the other hand, relaunched their website at the start of 2018 and customers have endured months of technical issues which has led to some disgruntled customers leaving the company altogether and switching to the likes of Hargreaves Lansdown. Hargreaves Lansdown offers the best iPhone and Android app of all the investment platforms as well as an app for the iPad. Accounts can be fully managed straight from the app which is an excellent service for the busy modern investor. Hargreaves Lansdown stocks & shares ISA can be started with as little as £100 or a monthly direct debit of £25, and you can top up your ISA at any time with your debit card. You can choose from 6 ready made portfolios or manage your investments yourself. The Hargreaves Lansdown ISA remains the most popular ISA in the UK for good reason as it has won numerous ‘Best Stocks and Shares ISA provider’ awards. While it is not the cheapest fund platform it still presents good value for money given the amount of research and tools customers have access to. On top of that it is has an incredibly easy to use app and trading through it (or via the website) is far easier than most other platforms. Furthermore its customer service record is excellent. The annual fee charged by Hargreaves Lansdown is 0.45% for the first £250,000 invested, 0.25% for investments between £250,000 and £1 million with 0.1% charge for investment in excess of £1 million. There is no annual charge for investments in excess of £2 million. However, the exact cost of your portfolio will depend on the types of underlying investments you invest in as these charges are additional to the annual charge quoted above. Make sure you take a quick look at Hargreaves Lansdown’s charges and interest rates list for details of all charges. In the summary section of this article I draw a comparison of Hargreaves’ charges versus its competitors. More than 290,000 customers have already chosen the Vantage SIPP and ‘What Investment’ readers have voted Hargreaves Lansdown the Best SIPP Provider 10 years in a row. Just like their ISA product you can choose from a wide range of investments including stocks & shares, ETFs, investment trusts and over 2,500 funds. It is easy to transfer old pensions into the Vantage SIPP in order to keep retirement savings and options under one roof. Customers can manage their SIPP either online, by phone, post or using the award winning Hargreaves Lansdown app. The annual charge levied by Hargreaves Lansdown is 0.45% for the first £250,000 invested, 0.25% for investments between £250,000 and £1 million with 0.1% charge for investment in excess of £1 million. Again, there is no annual management charge is made for investments in excess of £2 million. There are no charges to set up a Hargreaves SIPP or to consolidate and transfer old pensions into your new SIPP. In addition to the above charges you will also have to pay the charges applied by the underlying investments, just like when investing via any other platform. A full list of Hargreaves Lansdown’s charges and interest rates can be found here. The following reviews are a sample from independent consumer sites such as Trustpilot and Which? ‘Your service is BRILLIANT. Your website is so easy to use and your staff always have the correct answer to any queries. ‘I have found the experience really easy and enjoyable dealing with HL. I have no issues at all with their service and would recommend them’. You can deal in your choice of shares and Hargreaves Lansdown remains the most popular platform for investment professionals when running their own money. You can get started simply and quickly online and add funds with a debit card. There is a wide range of investment choices including UK and overseas shares, ETFs, gilts bonds and investment trusts. Customers also have access to free live share prices, stop loss alerts and interactive charts together with expert research and analysis. Hargreaves Lansdown Active Savings aims to make maximising the interest you earn on your savings easier. Once you open an Active Savings account you then can choose where from a range of fixed-term savings products (with terms ranging from 3 months to 5 years) from Aldermore Bank, Charter Savings Bank, Close Brothers Savings, Coventry Building Society, ICICI Bank and Shawbrook Bank. In time this list will no doubt grow. The power of an Active Savings accounts come from the ability to move your money between best buy deals at a click of a button. The downside is that the service doesn’t cover the whole of the savings market. Having said this, at the time of writing the rates offered over a number of different terms (i.e 5 years) are the best in the whole market anyway. If you want to compare the rates offered by Hargreaves Lansdown Active Savings with the rest of the market you should use our best-buy savings table. Overall the Active Savings service is a big plus point for Hargreaves Lansdown which will hopefully improve further once it can be used within an ISA or pension and as the range of savings accounts increases. In January 2019 Hargreaves Lansdown launched the Wealth 50 which is its selection of funds it believes have the best potential within their respective sectors. The Wealth 50 replaced its previous best buy list called the Wealth 150+, which as the name suggests was much larger. Strangely, just as the Wealth 150+ didn’t contain 150 funds, the new Wealth 50 in fact contains 60 funds. The unveiling of the 60 funds that made the grade, and those that didn’t, drew some negative headlines. The inclusion of Neil Woodford’s funds despite recent poor performance was the main cause. 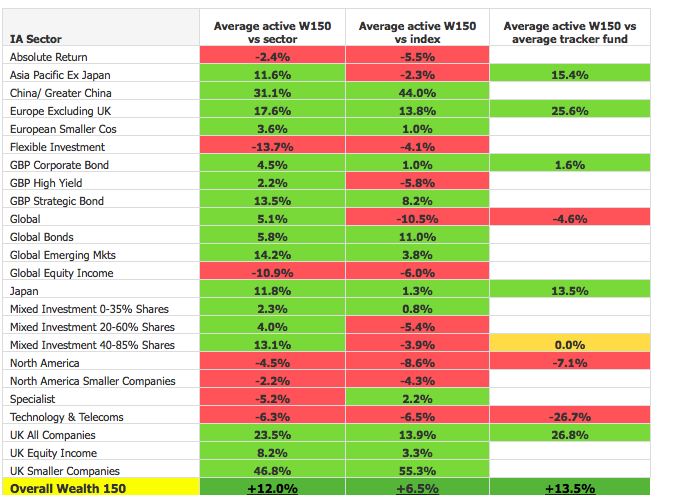 Woodford previously had a strong performance track record while working at Invesco Perpetual but his current funds have underperformed their peers in recent years. So much so that another investment platform placed one of Woodford’s funds on its ‘Dog’ list. But Hargreaves Lansdown has its reasons and methodology which it has stuck to citing the strong performance of the previous Wealth 150+ as evidence of the robustness of its approach. According to Hargreaves Lansdown, its Wealth 150+ funds on average delivered an extra 11.8% return over funds that were not in the Wealth 150+ selection. The new Wealth 50 does offer some decent discounts to investors with 30% savings on fund charges, meaning that the cheapest active fund now has an annual charge of 0.22%, while the cheapest passive fund charges just 0.04% a year. Summary – Hargreaves Lansdown review – Should you use them? The Hargreaves Lansdown platform is very competitively priced, particularly for investors with portfolios worth up to £100,000. For those with larger portfolios it is possible to negotiate charge discounts on an individual basis. Regardless of the size of your portfolio you must read through their brief guide to possible charges to make sure you are aware of what you might be charged for, as my analysis assumed you only invest in funds. As far as their Vantage Stocks & Shares ISA and the Hargreaves Lansdown Vantage SIPP are concerned they remain the market leaders and the addition of the new Active Savings service makes Hargreaves attractive to those looking to increase the return on their cash savings too. One negative of Hargreaves Lansdown is that they charge a fee should you want to move your investments away from them to another platform. My sense is that in time this will change due to consumer pressure. Having said that, you can reduce the size of the exit penalty to just £25 if you liquidate your investments prior to transferring away. But you can take some comfort in the fact that Hargreaves Lansdown is widely liked by its clients for its levels of customer service, investment choice, website and apps. Their platform is also widely used by investment professionals when running their personal investments. This is in part because of the aforementioned tools such as stop-loss and limit orders which can protect your money should markets fall. I have been asked to be on an independent judge on a panel for an industry award to decide the best investment platform for consumers. In all honesty my vote went to the Hargreaves Lansdown investment platform for many of the reasons I have outlined above. On top of that you can open an account in minutes (something other investment platforms fail at) with a debit card and start investing from as little as £25 per month. If you decide to do so here is the quickest way to open an account. One personal tip, if you are at all unsure then start by investing a small amount with Hargreaves Lansdown (or indeed any investment platform) as you can then always increase your investment and move your existing portfolio across at a later date. The Hargreaves Lansdown platform & SIPP are very competitively priced, particularly for investors with portfolios worth up to £100,000. For those with larger portfolios it is possible to negotiate charge discounts on an individual basis. Regardless of the size of your portfolio you must read through their brief guide to possible charges to make sure you are aware of what you might be charged for, as my analysis assumed you only invest in funds. As far as their Vantage Stocks & Shares ISA and the Hargreaves Lansdown Vantage SIPP are concerned they remain the market leaders.